Get out on the water with one of Cadillac’s newest recreational activities; Stand Up Paddle Boarding (SUP). Lindsay and Anthony, the owners of the all new SUP’n Cadillac, are husband and wife and have two children, ages 5 and 7. Paddle sports have always been something they enjoy doing and they decided to pair their passion with a business so that they can share it with people of the Greater Cadillac Area. They love being able to take on new perspectives of the water from their paddle boards. 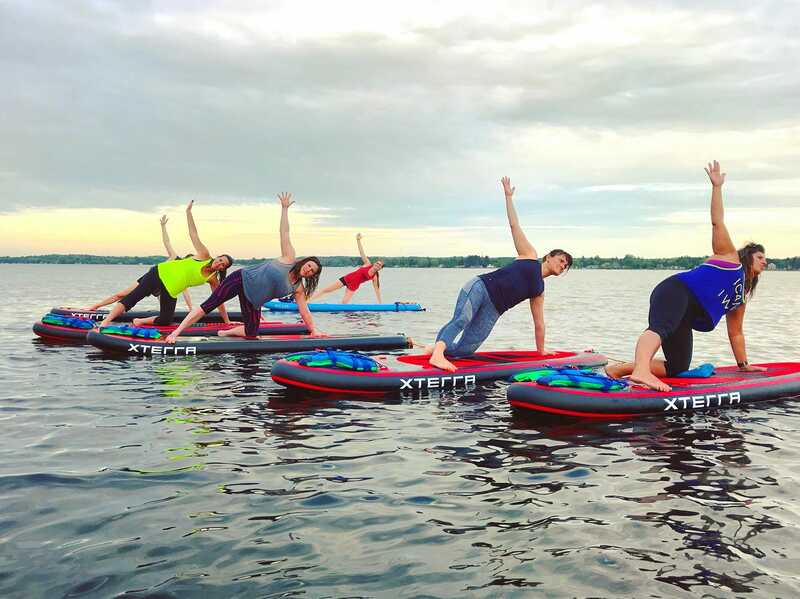 SUP’n Cadillac offers stand up paddle board (SUP) rentals, SUP yoga classes and SUP instruction in the Greater Cadillac Area. 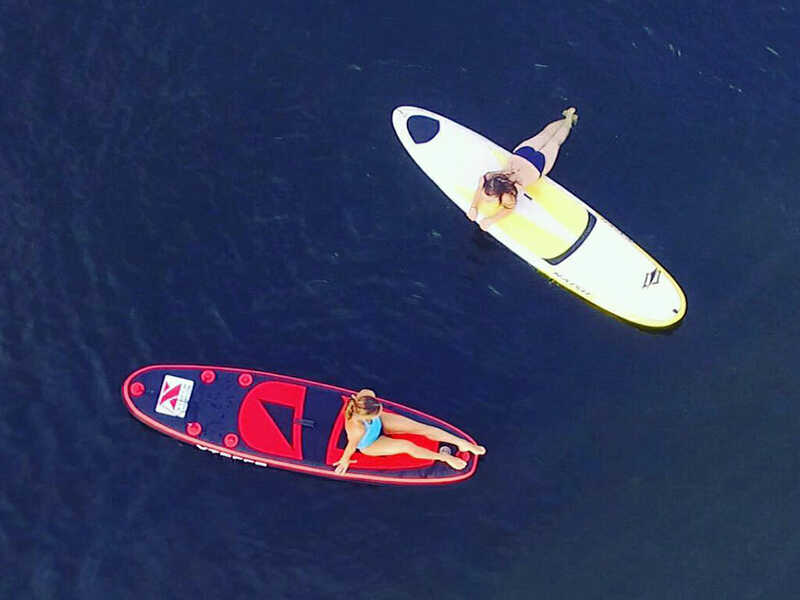 The boards that are used for SUP’n Cadillac are inflatable, iSUPS, that are more durable, stable, and transportable compared to traditional paddle boards. They are made out of military grade material and easily inflate and deflate in minutes where you can then roll them up and fit in a car. They have kid boards available, and boards that will hold up to 375lbs. When someone rents a board from us they have the option to take it out to one of our lakes here, or pack it up and bring it to any waterway. Our business is mobile; we typically meet at Kenwood Heritage Park, Mitchell State Park or the county park in Lake City, but we will bring boards to other locations in the Cadillac and Lake City area. We have family rental packages, date night/sunset deals, and rentals for as short as a few hours, the whole day, weekend or longer! Our board rentals include everything you need – board, leash, paddle and even a life jacket to make sure our customers stay safe. We will inflate boards for the rental but also leave a pump and backpack to put everything in so they can easily travel with their boards. Some fun things you can do in the area is paddle through the canal to check out both Lake Cadillac and Lake Mitchell, paddle over to Cheryl’s to stop for ice cream, or up to the park to let the kids play for a while. A day out paddling typically includes paddling around, stopping to swim and play, looking for wildlife, enjoying the view, and of course lots of laughter and memories made. Online booking is available or customers can call us to reserve a board. 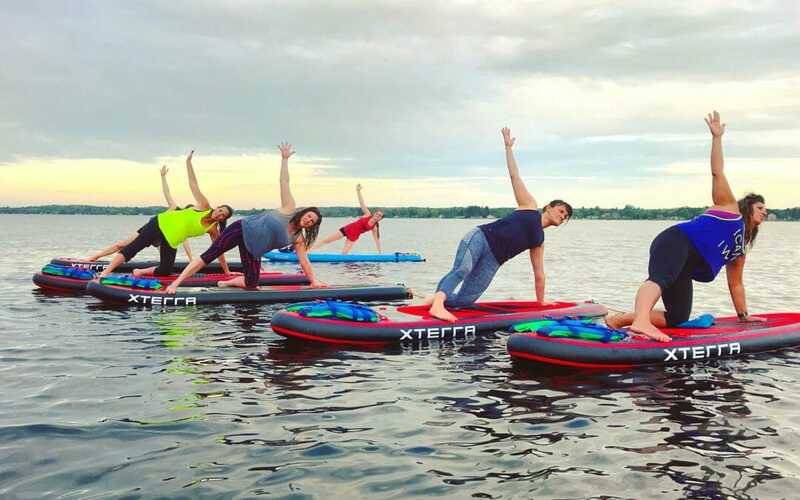 In addition to paddle board rentals, SUP’n Cadillac also offers SUP Yoga. Lindsay traveled to Florida to train with the American Canoe Association on SUP instruction and also was trained by some of the world’s best in SUP Yoga. Classes start on land with a few minutes of paddle instruction then we hit the water to paddle and anchor up for class. Yoga on the paddle board challenges you to not only work into your yoga poses but also maintain balance on the board. Being out on the water during practice is a blissful experience. Combining the healing benefits of nature with yoga is what it is all about. Not everyone falls in, but that can be part of the fun! SUP Yoga classes are held in the morning and evenings. The schedule and registration can be found on our website. Classes are fun to do with a friend; we also have had a lot of fun with company outings, and bachelor/bachelorette parties! 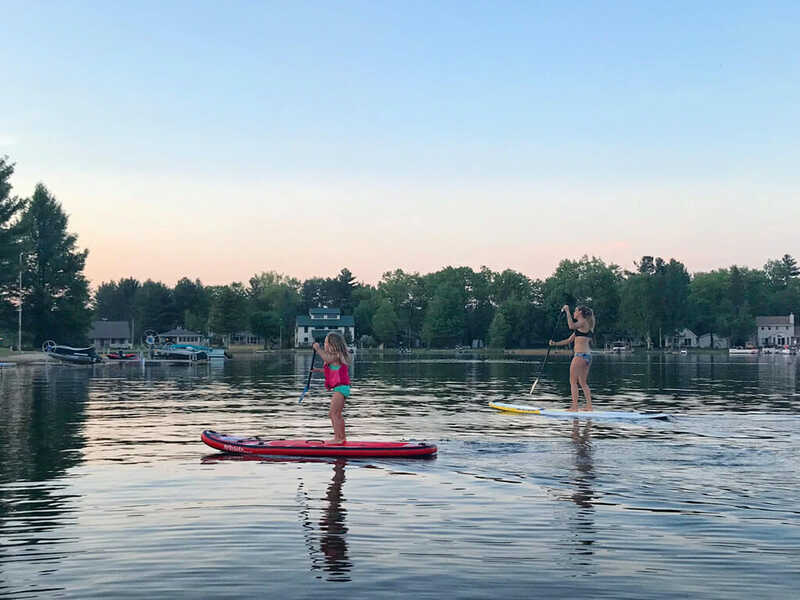 Some other things that we offer at SUP’n Cadillac is private SUP Yoga classes at a location of our costumer’s choice and ‘Mommy and Me’ SUP Yoga classes.  Cadillac is a beautiful area and we want to help grow the community by being active members, making recreation accessible and sharing something we love with others!